In a career that spans over forty years, Frank Gimpaya continues to explore the creative possibilities of capturing the human experience with a camera. He has travelled extensively throughout North America and Europe, and his body of work reflects a continuing interest in revealing the mystery and uniqueness of people and places around the world. Gimpaya holds a BFA from Hunter College (1965). Currently, he teaches painting and drawing at John Jay College of Criminal Justice in New York and photography at Saint Peter’s University in Jersey City. In addition, he is responsible for the original design of Nueva Luz, a noteworthy photographic journal published by En Foco—an organization supporting photographers of diverse cultures where he serves on the Board of Directors. 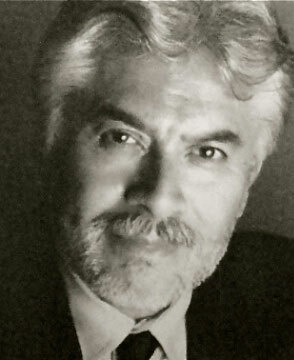 However, it is as a fine arts photographer that Gimpaya has gained recognition as an artist who “paints with light.” Throughout his career, he has had exhibitions in the United States, Mexico, Cuba, and Europe, and his work has been reviewed in numerous prestigious publications, including The New York Times and The Village Voice. His photographs are in the collection of Museet For Fotokunst in Odense, Denmark; and awards have included a New York Foundation of the Arts Fellowship (2002), the Pace/Promise Awards for Contributions in Arts Education (1992), and the CAPS Award from the New York State Council on the Arts (1977). Gimpaya's series entitled Mask was exhibited at SMP Graphics in 2009, the Look Art Gallery in 2012 and will be exhibited at the Bronx Museum of the Arts from July to September 2016.